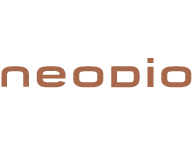 Neodio’s goal is to make the innovative solutions that it has been developing since 2002 accessible to the greatest possible number of people. After spending 15 years distributing products through the traditional channels, Neodio changed its model for a shorter supply chain. Products are now either sold directly by the manufacturer or by authorized resellers working with reduced margins. This direct relationship between the manufacturer and the consumer also allows music lovers to benefit from sound professional advice.